When the meeting was over, there was supposed to be an agreement. In the early days of the administration of US President Donald Trump, Chinese Vice-Premier Wang Yang had gone to Washington for the annual strategic economic dialogue to hammer out a deal on narrowing the United States' trade deficit with China - the target of sustained Trump ire since taking office. Some sort of joint statement on common ground - if only an agreement to meet again - should have been a formality. But the talks turned toxic and Wang's trip ended without the customary press conference and joint statement. The abrupt end to such a high-level mission sent the Chinese tacticians into a flurry of self-examination, according to Ronnie Chan Chichung, a Hong Kong property tycoon with extensive access to US politicians, think tanks and the Chinese government. "They [Beijing] began to analyse did we do something wrong? Did we give them the wrong thing? Did we insist on too much? Did we send a wrong guy there? Were our tactics wrong, what's wrong?" Chan said. In a wide-ranging interview with the South China Morning P ost, Chan said Beijing was flummoxed. 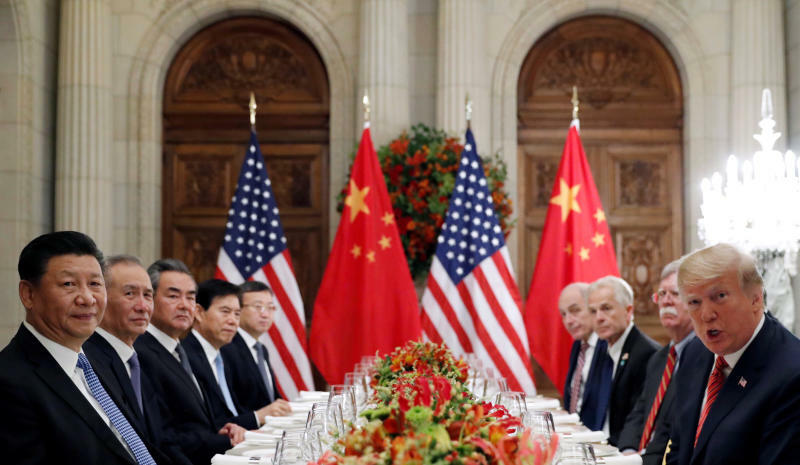 China had failed to pick up on several key points, leaving negotiators wrong-footed not only at the meeting but for the first 18 months of the Trump administration. Chan knows both sides of the Pacific well. Not only is he the chairman of Hong Kong property developer Hang Lung, he is a US citizen, a co-chairman of the Asia Society, a member of the US Council on Foreign Relations, and a former adviser to the Chinese State Council's China Development Research Foundation. He is also chairman of the Better Hong Kong Foundation, a pro-Beijing organisation actively engaging the US in recent years. His personal and professional ties span decades, cross international borders, and include close links to former US secretary of state Henry Kissinger and late former US president George H. W. Bush, both of whom congratulated him on being given the Dwight D. Eisenhower Global Leadership Award last year for his contribution to philanthropy, education and building bridges for global stability. His background gives him a broad perspective, one that allows him to see that the self-criticism in Beijing after the July 2017 talks in Washington was futile - it was meaningless for the Chinese team to try to assess what they were doing wrong. Chan said that what China did not understand was that Trump did not want a deal at the time because he was under no domestic pressure to reach one. "Nothing's wrong. You have to know who you are dealing with. You are dealing with a guy who doesn't want a deal. If Trump doesn't want a deal, there's no deal," he said. No matter what China offered, it would be rejected, Chan argued. "At the beginning for the first year and a half of Donald Trump's administration, I think China had no idea what the whole issue is all about. Not just how to deal with him, but what the whole issue is about," Chan said. He said China was willing to make concessions to rebalance trade, but that was not the main issue between China and the US. "Trade is insignificant. Anybody who worries too much about trade, as far as I am concerned, is not a serious observer in US-China relations. There are issues that are far more significant and serious that are lurking behind the causes of the deterioration of relations. Trade is just the surface. "The bigger issue is technology, which leads to military and defence. That's first and foremost, that's the root of the problem of the trade war … Even secondary, perhaps, is the currency. So trade is really a tertiary issue." There was also a broader level of misunderstanding about Beijing that had its roots in the Tiananmen Square crackdown in 1989. Chan said that after former US president Richard Nixon's visit to China in 1971, relations between the two countries were moving generally in a positive direction because the US needed China's to help contain the Soviet Union. However, "the ship reversed" after 1989, Chan said. "So whatever sin that China had between 1971 and 1989 could be forgiven [by the US] because … the relationship was moving in the right direction," he said. "[But] the ghost of June 4 has never dissipated, as far as Americans are concerned … After 1989, any good would be minimised because it was in the wrong direction. "That's why I say everything before 1989, everything that's bad was not that bad; but everything that's after 1989, everything that's good is not that good." Conditions between the two countries had deteriorated to "very poisonous", a state due in no small part to Trump's pronouncements on Twitter. In the process, Chan said, many of his "old friends" in US think tanks had changed from being friendly to China to hawkish. "In the last two years, it [China-US relations] fell into an abyss. We know that, all these guys are friends of mine, these think tank people, the university people, Washington DC people - a lot of them are my friends. These guys are, as far as I am concerned, are - sorry to use the word - brain-dead," he said. "I asked [my friends], what did you find out today about China, that you didn't know a year ago? What changed your mind? What did you find out? Anything more? "Number two, did China become worse in the last year … What has changed? The only thing that has changed is Trump tweeting. "The only thing that changed your mind is the tweets. So all the friends I talked to … whom I thought were thoughtful people, I realised they are not as thoughtful. They do not have independent thought. They were all influenced greatly by the tweets of Trump." To all of the great people who are working so hard for your Country and not getting paid I say, THANK YOU - YOU ARE GREAT PATRIOTS! We must now work together, after decades of abuse, to finally fix the Humanitarian, Criminal & Drug Crisis at our Border. WE WILL WIN BIG! He cited technology transfer as one issue on which opinions had changed dramatically. "People said China has been stealing technology. Well first of all, everybody steals technology. And number two, three years ago, I had a discussion with [former CIA director] general David Petraeus and [former US secretary of state] Condoleezza Rice on this subject of stealing technology from one another. Is that something that happened in the last one year? Did it get worse? It didn't get worse, so what changed your mind?" One independent thinker Chan counts among his friends is Kissinger, the architect of China-US relations when Nixon visited Beijing in the 1970s. Chan said he had met Kissinger four times in the last two months and they talked about China-US relations - though he declined to reveal the details of those conversations. The 95-year-old former diplomat also met Chinese President Xi Jinping in Beijing in November. "I am sure Henry is doing his best, but everyone has our own limitations. I don't think Donald Trump listens to anybody. I think he only listens to people who agree with him … at least Henry gets to talk to him, but that in itself doesn't mean Trump will listen." Kim Jong-un in Beijing: is North Korea a bargaining chip in US-China trade talks? However Chan said Trump would need to reach a deal if he faced enough economic or political pressure at home. "Maybe he makes a bad deal somewhere that puts him under pressure. He needs a deal. To make him look good, there will be a deal," he said. Chan said he also remained hopeful about the future of China-US relations. "I am not negative about the US-China relationship. As long as China behaves rationally, and America does not behave further foolishly. I think we will be OK," he said. "I think the US-China relationship will not get out of hand. The only really serious stuff is if a war breaks out. But I don't think anyone can afford a war today. Not even Trump would dare to start a war." He said he had long advocated for the US to choose to influence China as a friend rather than a foe. "I believe it's far better for America to work with the Chinese. You have far more influence as friends than as a foe. And the Chinese, they can withstand whatever you throw their way - anything short of an outright physical hard war, which nobody dares to start," he said.